There is a place called the Community Police Academy. 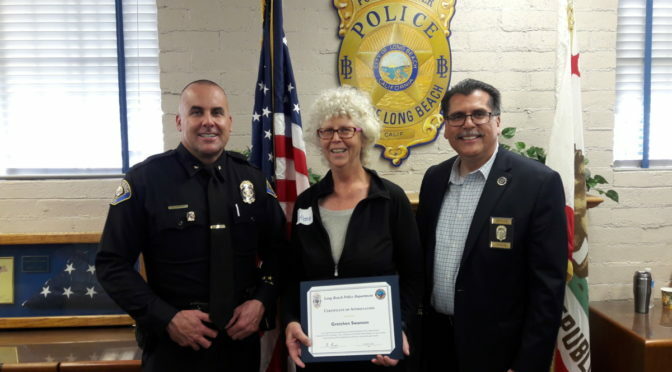 It is not for everyone – unless of course you are interested in knowing more about how the LBPD operates. There are live scenarios of gun-toting, domestic abusing, near suicide cases. You wear stuff. There is a mini-lesson on constitutional law on topics like ‘probable cause’. They feed you. There will be more of these Community Police Academies in 2018. You can complete an application here. It’s that time! Every October is Open Studio Tour. It only gets better. Walk or bike to East 6th near Ohio to visit to RP artists who are participating. Plus there are a ton of other artists in other neighborhoods. It’s FREE.